Tame Impala will be having quite a year, it seems—they’ve been announced as one of Coachella’s 2019 headliners, a sure sign that more big festival slots are to come. Frontman/hermit/wizard Kevin Parker hinted today (Jan. 3) that he’s got some “new sounds” cooking up in the studio, and with tentpole tour dates like Coachella on the horizon, we can’t help but anticipate a new album between now and then. Here’s a look at everything we know about Tame’s fourth studio album, and when we think it will finally grace our ears. What Has Parker Been Up To? In the nearly four years since Currents, Parker and Tame Impala have become something of an icon for modern alternative rock. The shambling psychedelia of Innerspeaker and Lonerism was distilled to a purer essence on Currents, allowing Parker’s pop songwriting chops to shine. Those chops have led to a host of strange and beautiful collaborations. He contributed to ye and Astroworld; he’s made music with Lady Gaga, Kali Uchis, SZA and Mark Ronson. Rihanna covered one of his songs on ANTI, and he’s mentioned hitting the studio with Kendrick Lamar. He’s transcended the indie set and is firmly in the stratosphere of pop stardom, all while retaining the cred that can still get those indie kids excited. Parker’s a pop guru now—will that dislodge him from his psychedelic path? It’s hard to say, really. In the aforementioned Billboard interview, Parker mentioned that being in the studio with all these icons had not changed him. “You can be your awkward self in a session,” he said, which is comforting, because it’s that awkward lonerism that first led him to create Tame’s rich soundscapes all by himself. But he’s learning to let go of perfectionism: “Working with hip-hop artists has taught me so much about not being precious about every single sonic detail,” he told Billboard. He also mentioned how the experience has led him to place much more value in production, saying that Ronson in particular was a mentor. These facts, combined with freewheeling jams on his latest collaboration with rapper Theophilus London under the moniker Theo Impala, seem to give us a portrait of a different Parker than the one we knew. He sounds a little more carefree, a little more ready to let the chips land where they may. An expanding musical palette is far from a problem, and the sounds of modern hip-hop and R&B would make for one hell of a combination with Tame’s rose-tinted, ‘70s idealism. According to the man himself, Parker would be “very disappointed” if the album isn’t out by the time summer rolls around. “I love playing Currents songs, I love playing Lonerism songs, but I think I’m ready to play some other songs live,” Parker said this past summer. And with arguably their biggest festival performance to date in that Coachella headlining spot, it would be borderline criminal for Tame to hit Indio without some new jams for fans to sing along to. With Parker’s Twitter promise of “new sounds” this year, it’s almost guaranteed we’ll be getting the new record in the first half of the year. Whether that will be winter, spring or summer is up in the air, but Tame releases have tended to land in that late spring-to-early summer sweet-spot: Innerspeaker was released in May, Currents in early July. Lonerism dropped in October, but drummer Jay Watson originally expected it to drop by mid-year. The albums are usually preceded by singles, though, so with none of those yet, we’ve still got a wait ahead of us. Who knows, though—maybe Parker will follow in the footsteps of last year’s Coachella icon, Queen Bey, and drop it all out of nowhere. Wouldn’t that be nice? 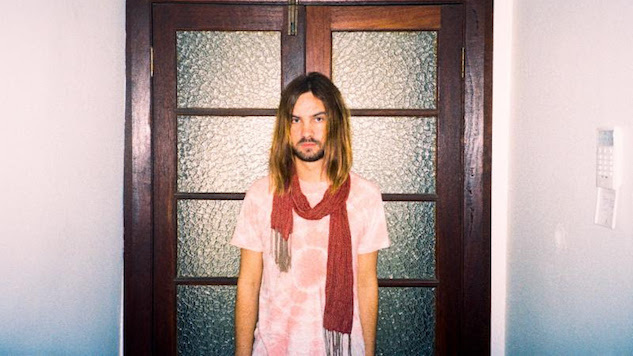 Tame Impala released the first single from their new album in late March ahead of the band’s March 30 SNL debut. Listen below. The band followed “Patience” with another new single on March 30, debuting “Borderline” live on SNL. Watch them perform both new songs below. Listen to Tame Impala’s 2010 Daytrotter Session below and stay tuned for more on the band’s new LP.